After all that talk about Taiwan and all it has to offer, I thought it only fair to prove to you the amazing foods they have to offer. Warning: May cause you to salivate. 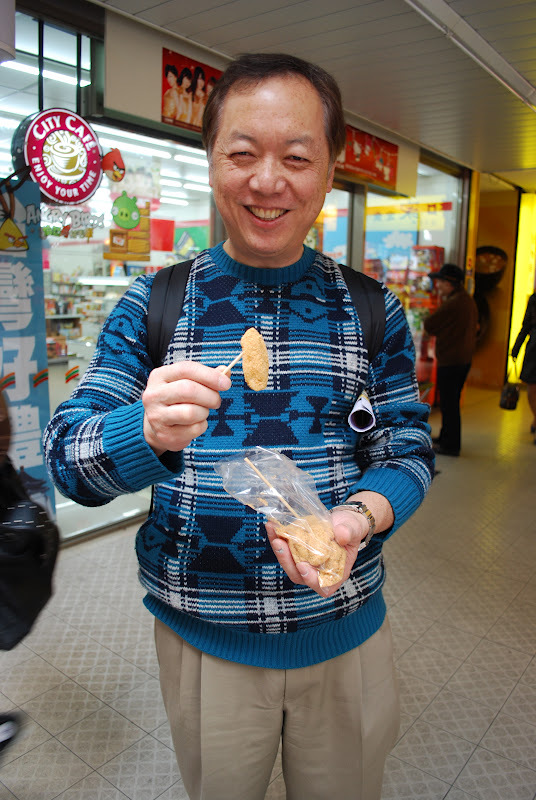 Dad enjoying some more local favourites - dough covered with crushed peanuts! To Be Continued... Can you handle it?